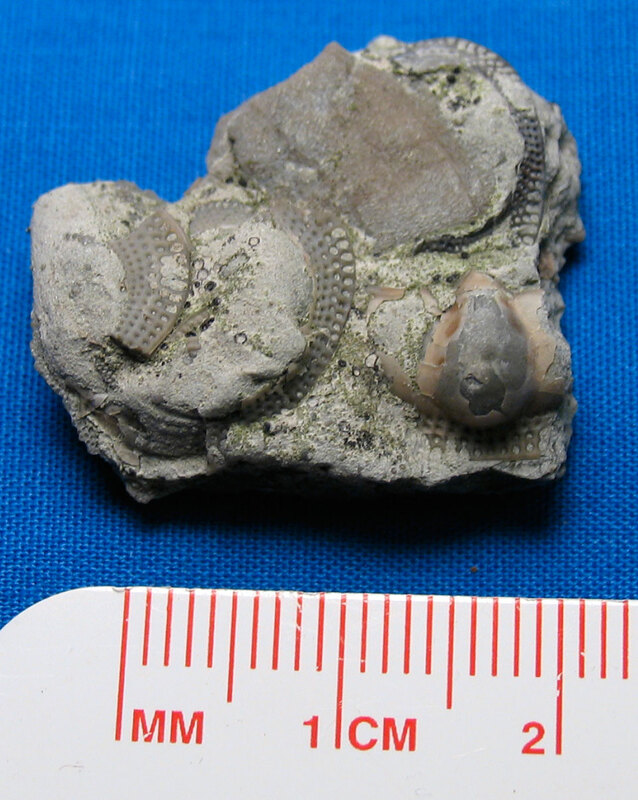 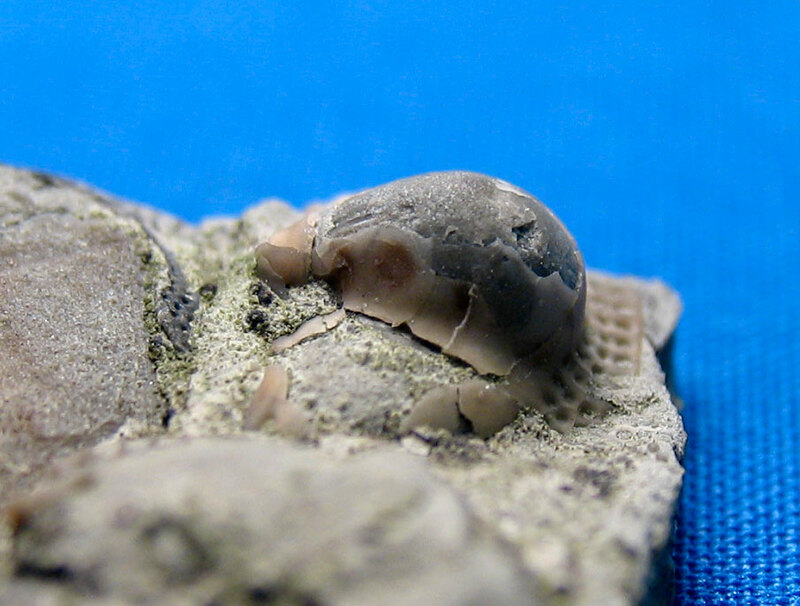 This fragment shows a mold and some of the shell replaced by brown calcite of the glabella of a Cryptolithus trilobite. 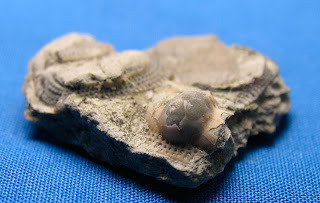 The fossil was found in the Kope Formation of Carroll County, Kentucky. 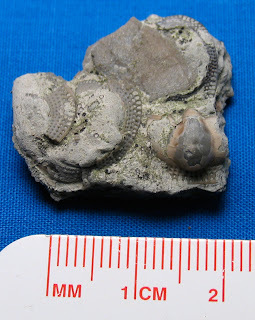 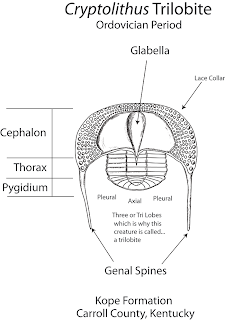 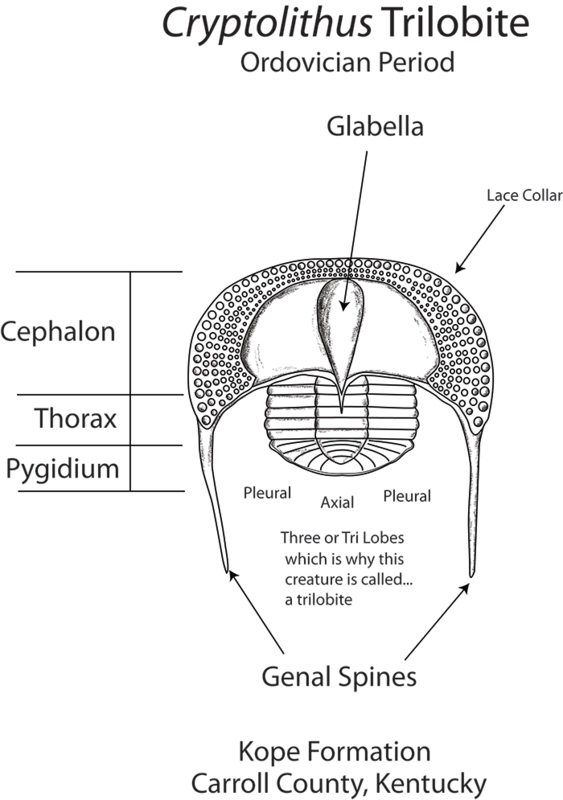 The trilobite lived in the Ordovician Period.